We have discussed the benefits of hosted VoIP before, but today we want to focus specifically on the benefits of the cloud for Call Centers. While an on-premise call center solution is mostly static, a cloud solution can be scaled up or down fluidly. Growth is just a phone call away and necessitates neither a large investment nor new equipment. In the same way, a hosted call center solution can be scaled back down for slower seasons. 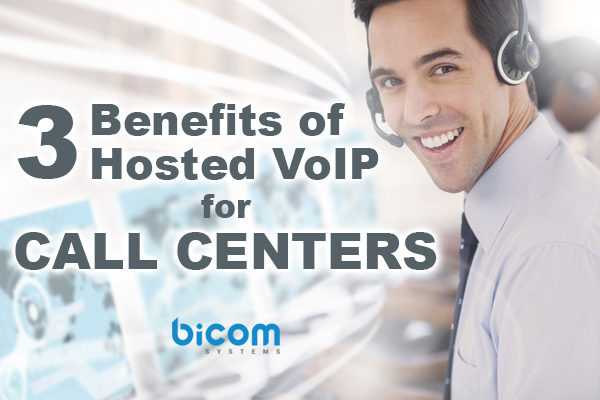 As with most VoIP solutions, hosted call center software is much more affordable than its on-premise counterpart. Start with the up-front investment (or lack thereof) and continuing to monthly payments and maintenance or upgrade costs. Cloud call center solutions are much more budget-friendly for SMBs. Call Center software can be daunting and confusing, especially with a high volume of calls. But cloud solutions take most responsibilities off the shoulders of the contact center. The service provider, and hopefully a dedicated account manager, take care of everything so that the contact center is free to focus on calls. Above all, these three benefits give SMBs the chance to compete against enterprises and large organizations.